Production line speed can reach to 200m/min. Every roll including transitional roll has dynamic test and high smart tension control. High performance winder make sure smoothness of film. 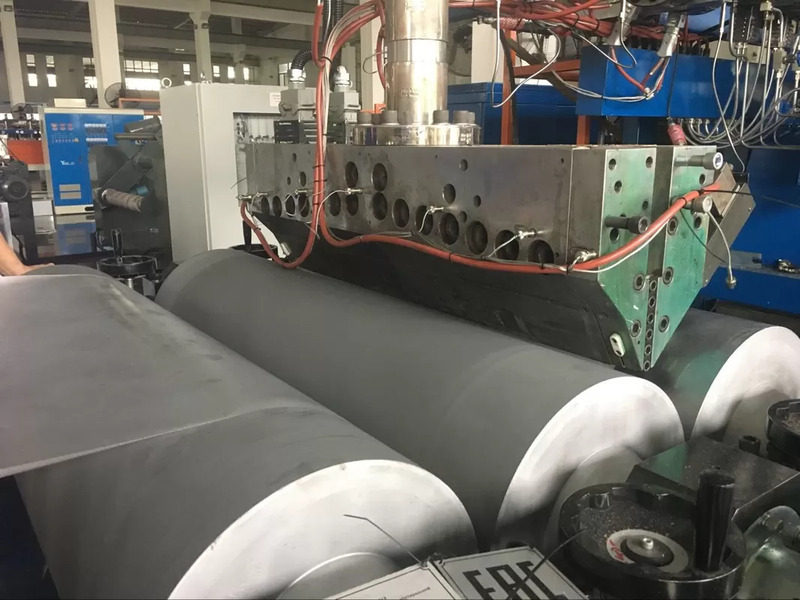 Cooling forming systemEquipped with vacuum-box, air-knife and cooling forming mirror roller with high flow and big diameter. Automation: The whole line is controlled with PLC and computer screen, equipped with famous electric parts in the world. Till to today, we have sold this machine to Mainland China and also exported other countries. Application: Clothes, Shoes, Bags,Caps,Table Cover Etc.